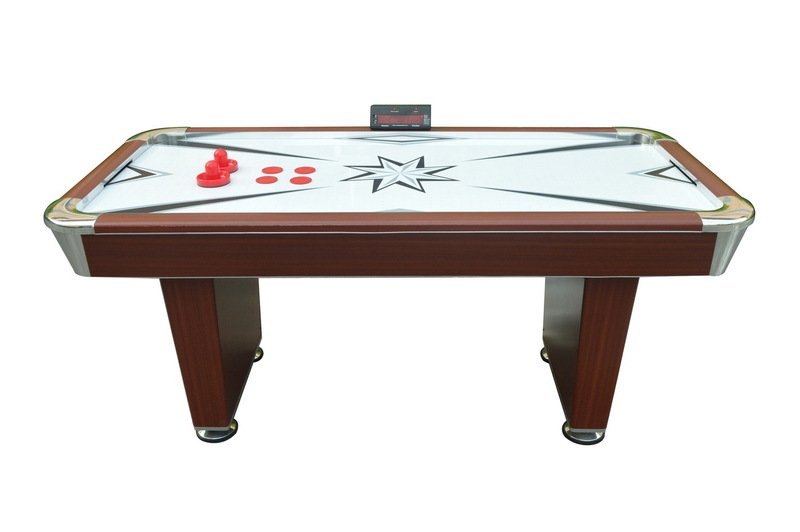 The Playcraft Derby 6' Air Hockey table will provide hours of fun for the entire family. 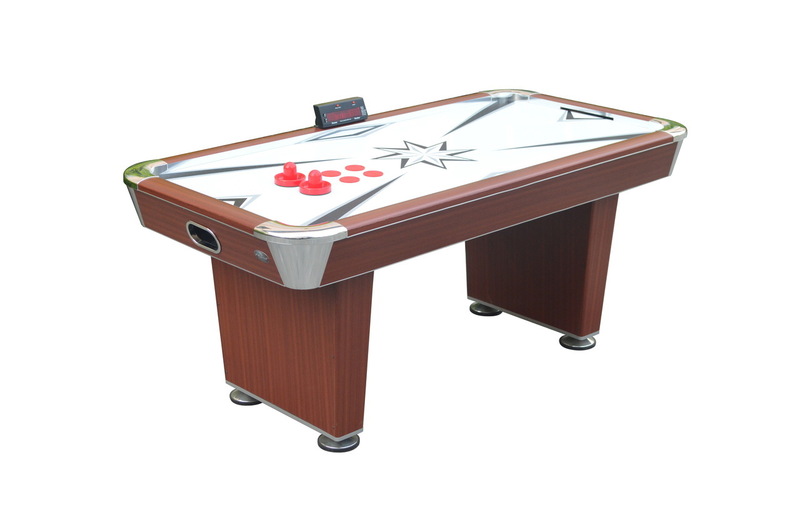 Its Espresso wood grain PVC laminate finish and chrome accents make the table a stylish addition to your home game room. The table is made from environmentally safe MDF materials. 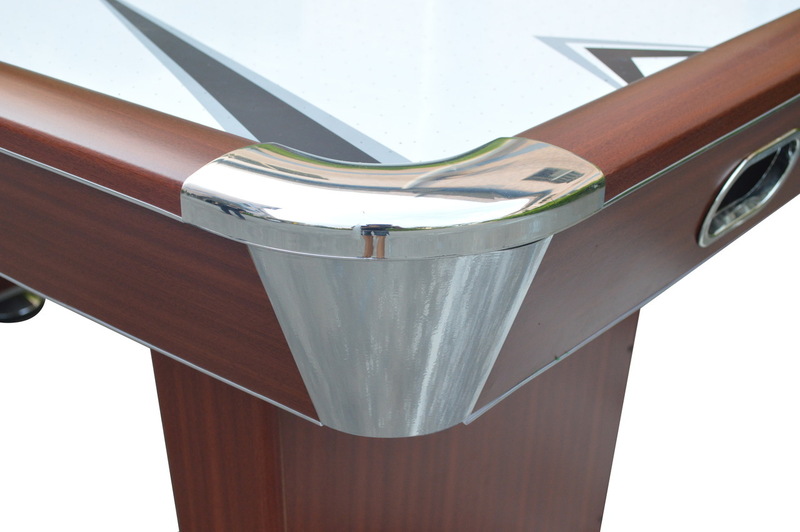 The pedestal style legs provide added stability and are equipped with leg levelers to level the table and adjust the height. The table arrives mostly built allowing for a quick final assembly. 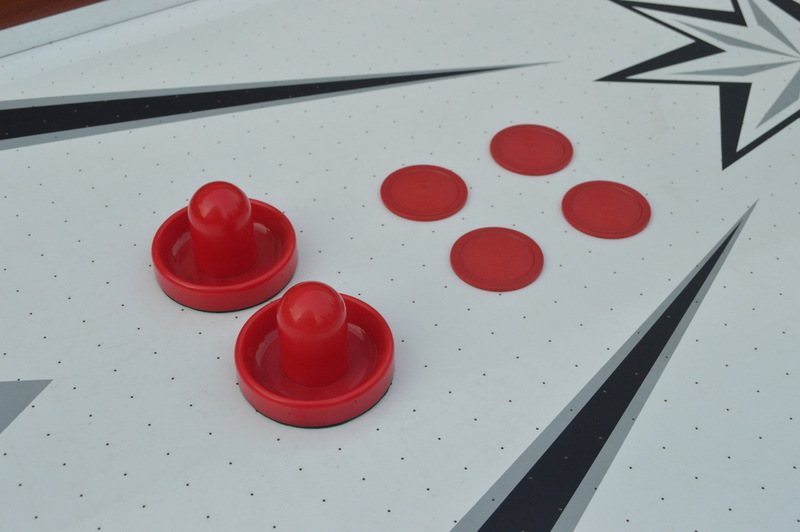 The playfield is a high gloss scratch resistant PVC that along with the 110v high power air fan motor, provides a fast playing experience. The electronic scorer has a variety of game settings for your enjoyment. Included with the table is two 3.75" strikers and four 3" pucks.